Image taken from a Newman Brothers’ trade catalogue dating from circa 1920s. © The Coffin Works. ‘If special widths are required, as used in Scotland and Ireland, an extra will be charged’. Those words grace the page of a Newman Brothers’ catalogue, dating from the 1920s, in which ‘robes’ are advertised. 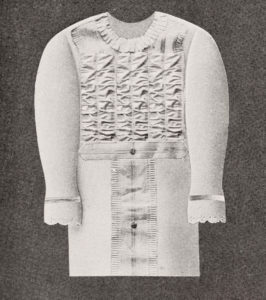 Robes in this instance refers to funerary gowns or shrouds. These words have puzzled us at Newman Brothers for a while. Why did the Irish and Scottish use special widths? And which part of the shroud did these special widths refer to? We’ll get to that, but it’s first of all useful to begin with a very brief history of the shroud, in relation to the common English funeral from the 14th century onwards. Shrouds have long been used to prepare the dead for burial. The shroud for the poor and lower middle classes began life as a purely functional garment. Often a simple linen sheet would suffice. In the 14th and 15th centuries the sheet would have been wrapped around the body, with knots tied at the foot and the head. Image from The English Way of Death, illustrating two Medieval shrouded figures in traditional winding sheets, tied at the head and feet. This feature persisted until the beginning of the 18th century. 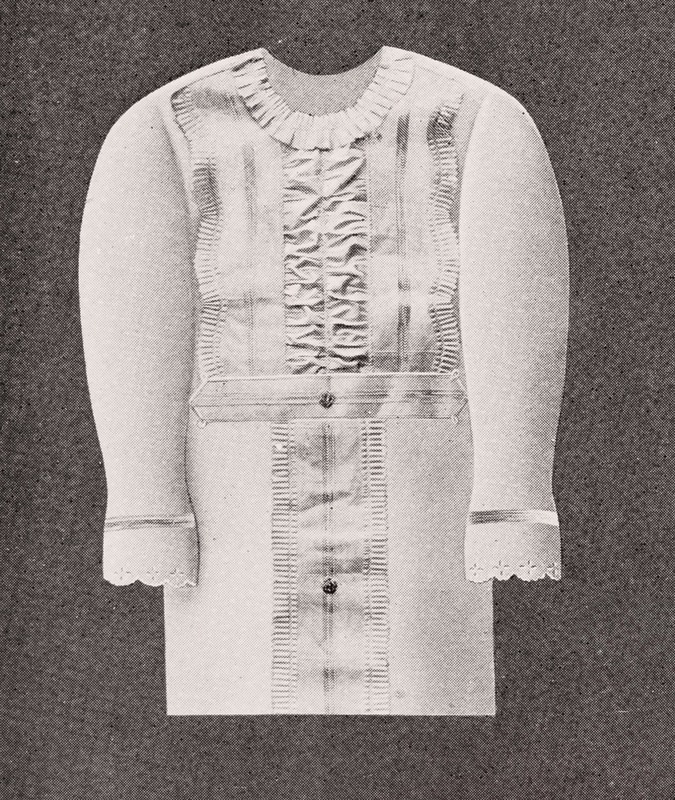 Dr Litten notes that: “The ‘winding–sheet’ with its top and bottom knots had been in steady decline during the last quarter of the 17th century, its place being taken by the open–backed long–sleeved shift with draw–strings at the wrist and neck, either with or without an internal hood”. 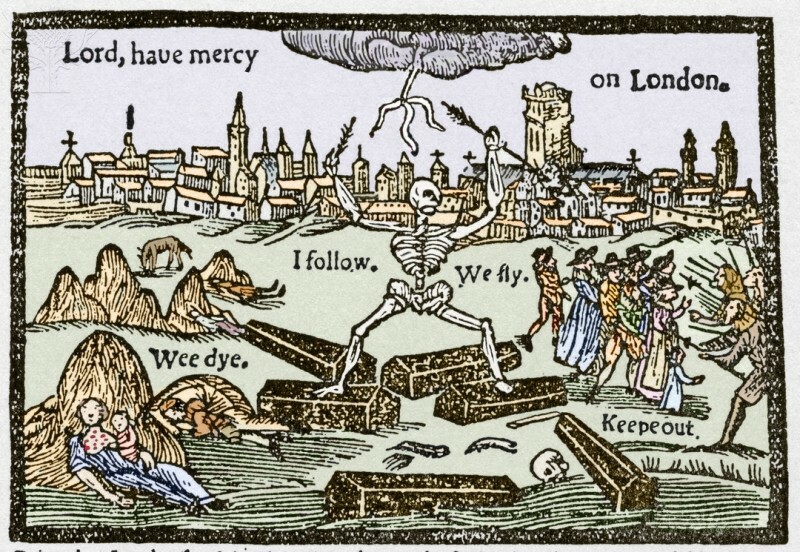 Until the beginning of the 18th century, unless you were wealthy, most bodies were placed straight into the ground without a coffin. The ‘parish coffin’, used until the early 18th century ensured some dignity for those who couldn’t afford a coffin, as the deceased were placed inside the reusable vessel, and transported to the church for funeral masses, and then taken to the graveside, at which point they were separated from the coffin. 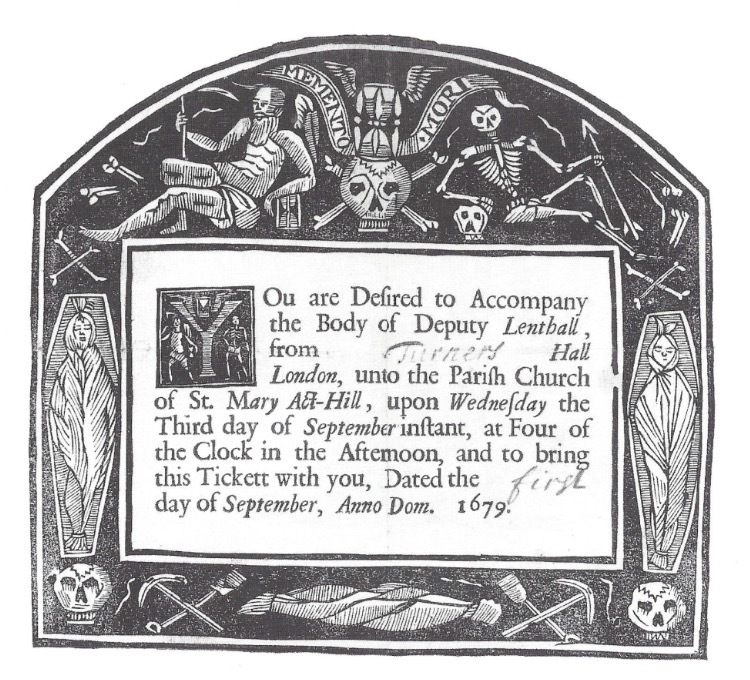 It was plague and pestilence that saw the ‘death’ of the parish coffin, as it was considered unsanitary to use the same fixture over and over again, especially when it had transported people who had died from contagious diseases. It was believed that the parish coffin was a breeding ground for germs and abandoning it was an effort to protect the living. Coffins for everyone, albeit very simple ones, started to become the norm as a result. As Litten notes, by the 1770s, the traditional winding sheet, tied at the foot and the head, had almost completely disappeared. Instead, it was replaced by coffin sheets. Rather than a shroud, the body was placed in a shift with a bonnet and the sheets were pinned to the sides of the coffin creating the appearance of the deceased lying in bed with a quilt pulled over them. In addition, a fitted pillow was placed under the head of the deceased. 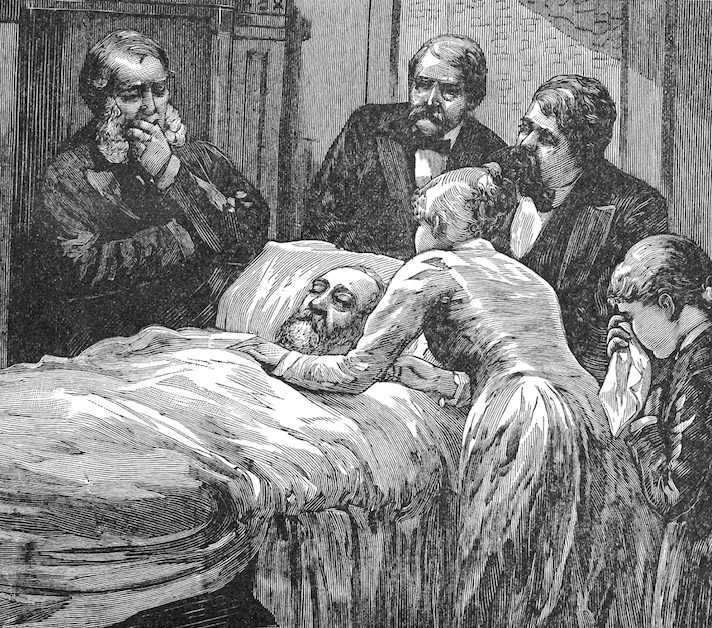 Coffin sheets were designed to resemble the deceased lying in bed in a natural state, as illustrated here. © Alamy. 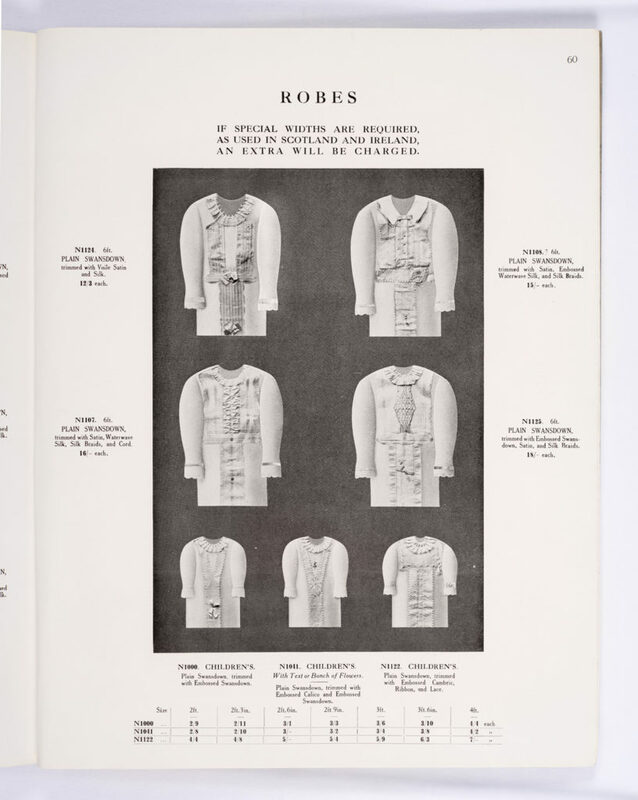 “The shroud was beginning to adopt a couture of its own, with distinct styles for boys and girls, men and women; those for males with sans bows whilst the female styles had less panel ruching on the torso and a high-neck frill. 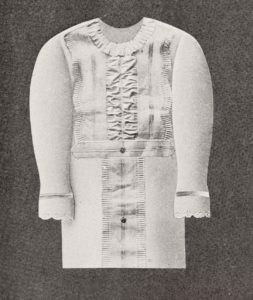 Stiffer materials such as swansdown and cashmere were replacing silk, whilst flannel and stiffened cotton remained the more popular lines”. 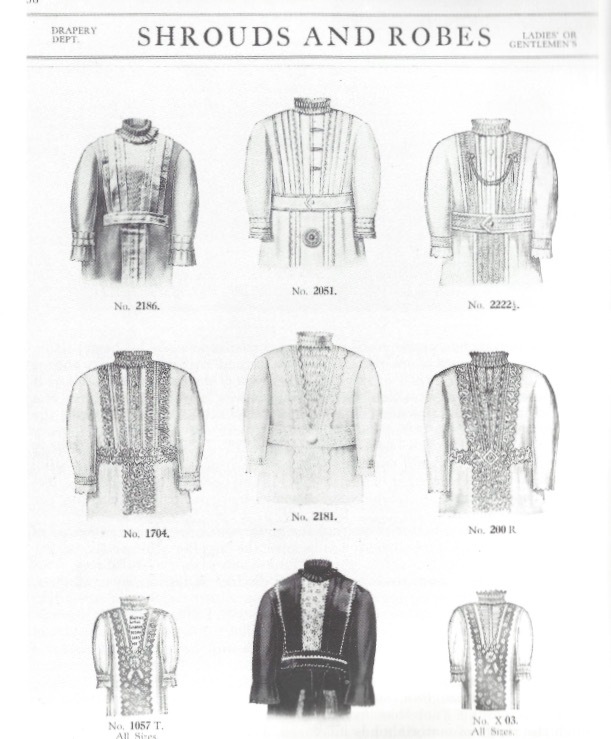 It’s interesting that the Dottridge catalogue (image below) displays a page of shrouds advertised as ‘Ladies or Gentlemen’s’ and all of them have high neck frills and seemingly a lot of panel ruching. In this instance, a particular style does not appear to be gender specific. Image from The English Way of Death, illustrating men’s and women’s shrouds as advertised in Dottridge’s 1922 catalogue. So there we have it. A detail that has puzzled us for a while finally solved by the country’s leading authority on the common English funeral. I’m just not sure why I didn’t consult him earlier. Thanks, Julian!